Approx 26" [66 cm] wide x 62" [157.5 cm] long. 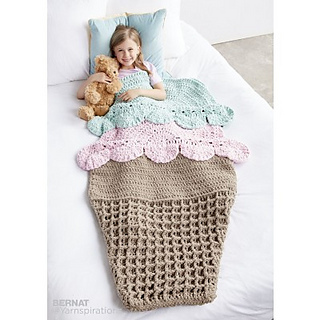 To fit Chid ages 4 to 8 years. 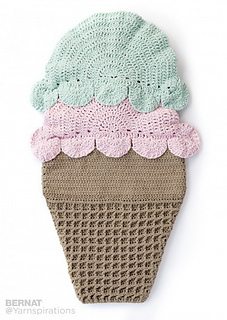 Dream of summer days and ice cream cones when you climb into the Double Scoop Crochet Snuggle Sack, stitched in Bernat Baby Blanket. Even includes a waffle cone! Note: You will need 3 stitch markers for this project. 7 sc and 8 rows = 4” 10 cm.